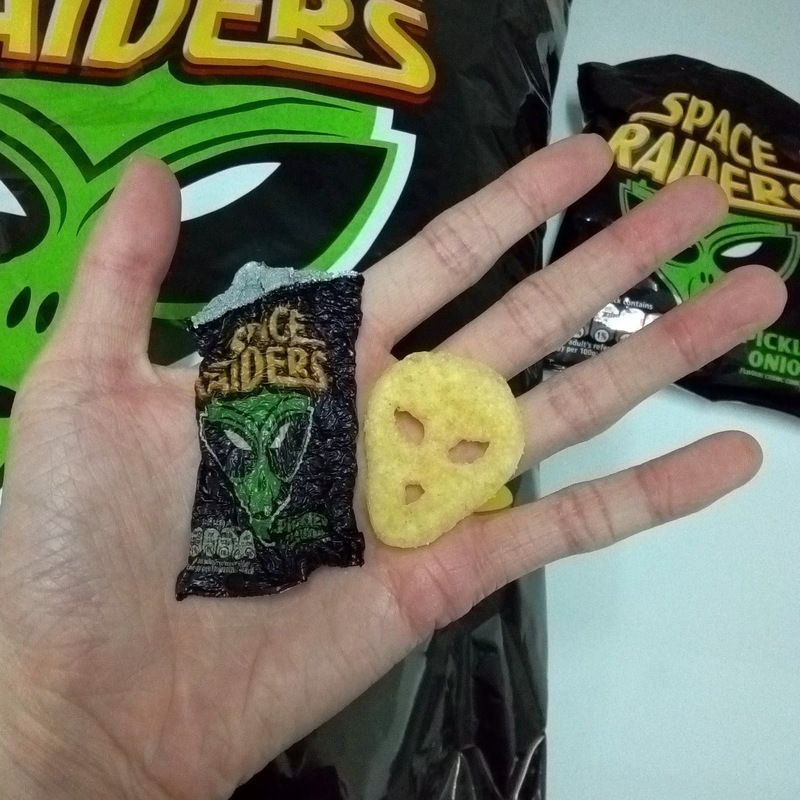 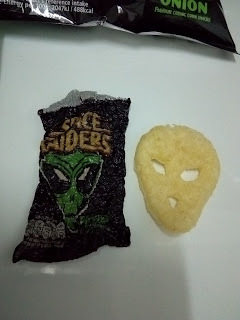 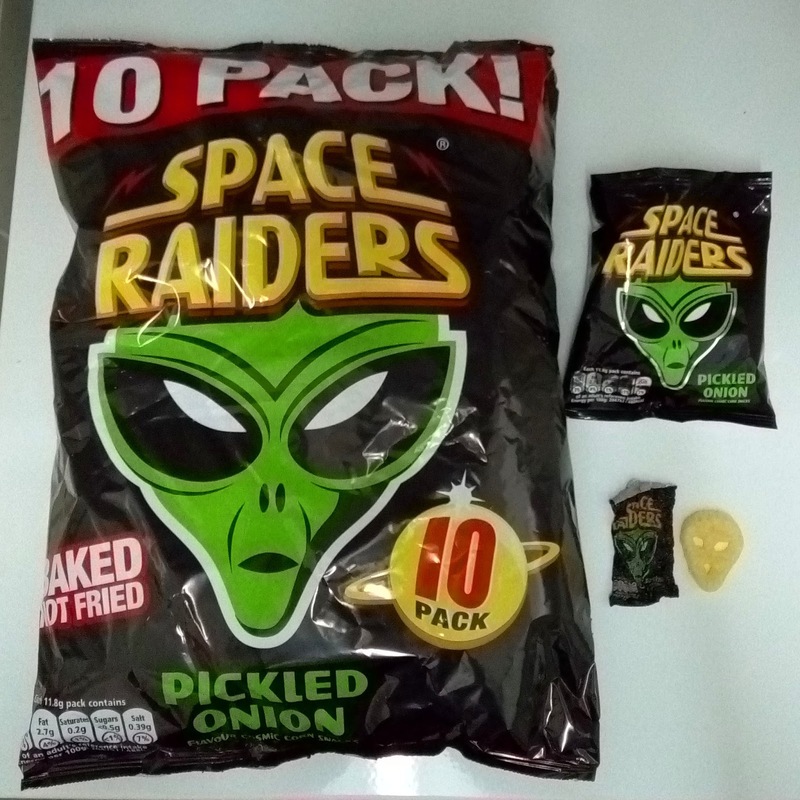 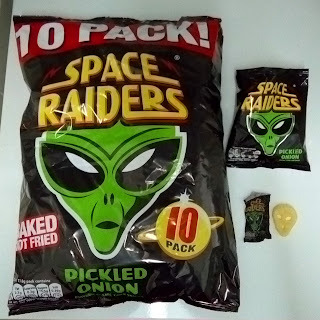 These are British inexpensive corn and wheat snacks by KP Snacks in a shape of an Alien's head. 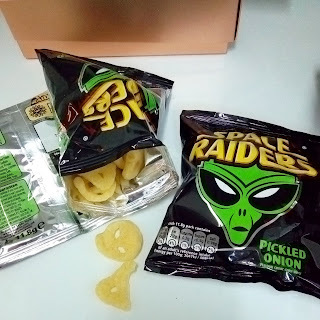 The pickled onion flavour tastes a bit my monster munch but the crunch is much harder. After finishing the crisps, I decided to have fun shrinking them in the oven like I used to as a kid.